It’s a cliche for reason. Location is the most important aspect of real estate and it’s the reason why a tiny run-down property that’s falling apart can be worth millions of dollars. Simply because of where that property is located can make all of the distance. 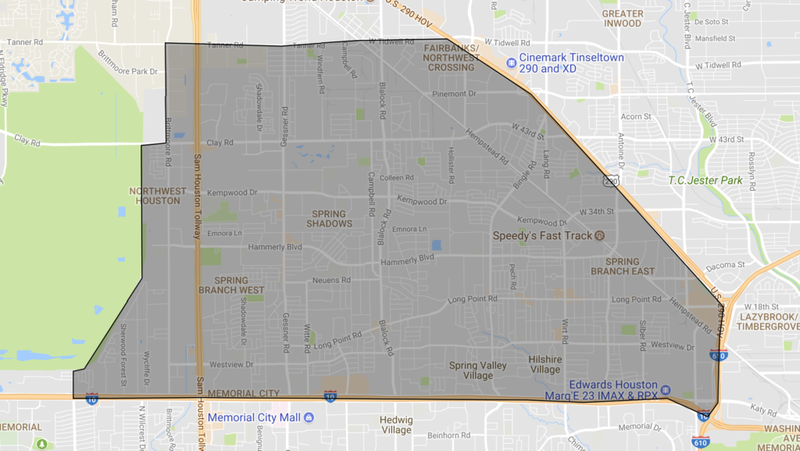 Spring Branch is conveniently located just north west of the inner-loop of Houston and about 30 minutes closer to downtown (1-2 hours in traffic) than living in out in Cypress, Katy, or Sugarland. You simply just can’t beat the central location of Spring Branch and the connectivity of being so close to i-10, 290, 610, and BW 8. Wherever you want to go in Houston, Spring Branch can make it a little easier. 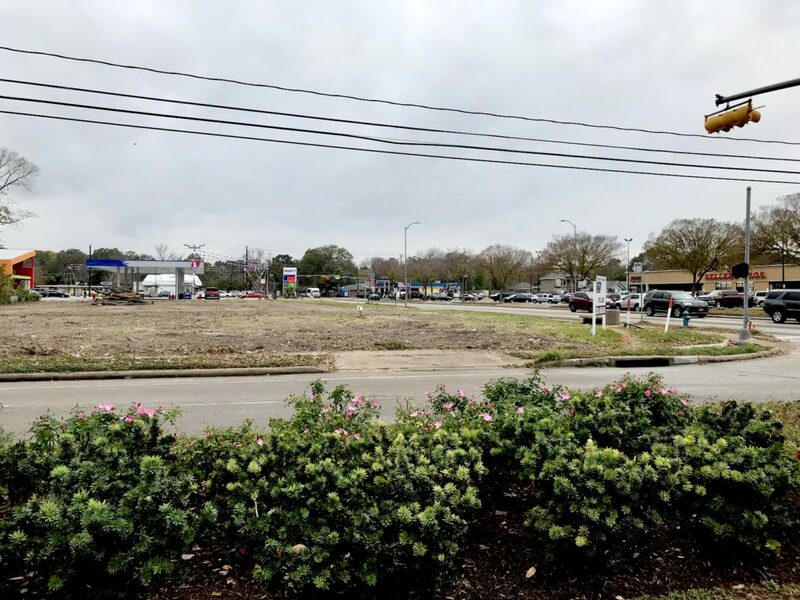 If you just take a drive around the area, you can see that the reality is that Spring Branch has plenty of room to grow and is pretty underdeveloped in most aspects. There are plenty of massive lots sitting vacant on big streets like Hammerly, Bingle, and Blalock so it’s only a matter of time until the big developers start pouring in. There really isn’t one type of (new) real estate that you could say Spring Branch has too much of. From condos, to townhomes, to master-planned communities, and even mixed use developments, Spring Branch could really use a little bit of all of those things. Spring Branch ISD serves over 35,000 kindergarten through 12th grade students and includes an overall region with 188,000 residents. Spring Branch ISD is home to some of Houston’s best public and private schools. In fact, Spring Branch has quite a few top ranked private schools including; School of The Woods, St. Regis, Awty International, and Houston Christian. There are currently four traditional high schools (grades 9-12), one of which is 6A, and three 5A high schools, eight middle schools (grades 6-8), and twenty-six elementary schools (grades K-5), and six early education Pre-K centers in the district. Three more high school centers serve students in grades 9-12 with various purposes, including one public charter school. Learn more about Spring Branch schools. If you driven around the Spring Branch area you may have noticed all of the new street posts and signage and maybe even noticed the improved roadways, or at least the big billboards telling people to move to Spring Branch. Visit SBMD.org to learn more about the Spring Branch Management District. When it comes to real estate, Spring Branch has it all. Want brand new townhomes? We’ve got’ em. Single-family patio home? Yup, got those too. How about a mid-century ranch style home on a huge lot with mature trees? We’ve got a ton of those. Heck, even if you’re on the market for a multi-million dollar villa, Spring Branch has those too. The bottom line is that Spring Branch has so much to offer in terms of real estate that it’s hard to find something you won’t like. See homes just listed in Spring Branch. The Spring Branch market is booming for a variety of reasons but these are the top five reasons that we think is making the biggest difference. Did we miss something? Let us know in the comments! P.S. Join over 12,000 of your Spring Branch neighbors and friends. Subscribe to the newsletter for a weekly roundup. Every Thursday evening we’ll send you a roundup of the best content and events about Spring Branch. Make sure you’re ready for the week! Subscribe below.